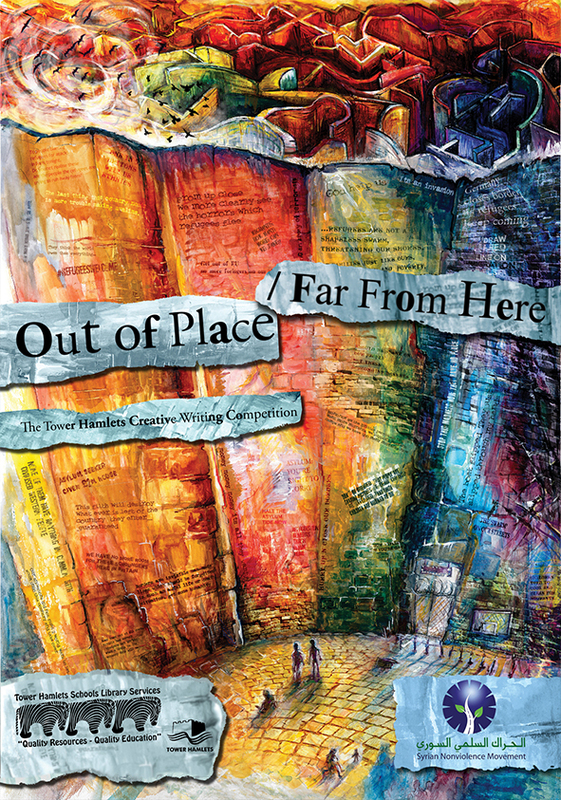 Out of Place will be the title of the 2016 Tower Hamlets creative writing competition which we’ll be running with the HEC Global Education Centre. The project will publish the writing of Syrian refugee children alongside the work of their peers in London. The painting will form the basis of the poster for the competition, and over the time working on it turned into my Shaun Tan moment. 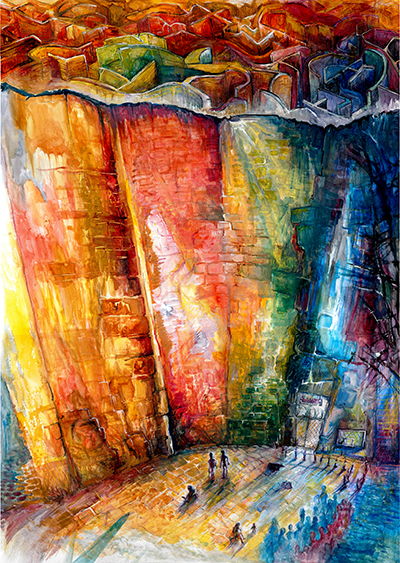 Instead of a sky and wire above the wall, I added the maze to indicate how finding our ‘place’ can be a long and often impossible journey. Below is the final cover with (real) anti-immigrant headlines and comments from the tabloid press. The pro-immigration quotes were much harder to find, sadly.